How to Disguise Highlights as They Grow Out. When you decide you don't want to get your hair highlighted anymore, it can be frustrating waiting for them to grow out. You can disguise them in a number of ways so you can stop making that trip to the salon every 6 weeks. Dye your hair with a semi-permanent hair color that's close to your natural shade. This will darken the highlights so they won't be quite as obvious. You can do this at home by getting color and 10 volume developer from a beauty supply store, or you can get a kit of semi-permanent color from the grocery store. You'll need to keep up with this as the color fades, avoid shampooing your hair too often and use a moisturizing conditioner to help the color stay longer. Find a permanent hair dye that is slightly darker than your natural color and apply it to your hair. The highlights will still be a bit lighter and the color will still fade a bit, but it'll save you from having to re-color your hair every 6 to 8 weeks (as you would in Step 1). Get a stylish haircut. Putting layers into your hair will get rid of some of the more obvious highlights since your stylist will cut off part of the top layer of your hair. Go out in the sun. 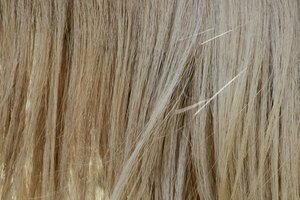 Your hair will lighten naturally if you go outside on a regular basis and this will give you a healthy glow as well as camouflage the highlights as they grow out. 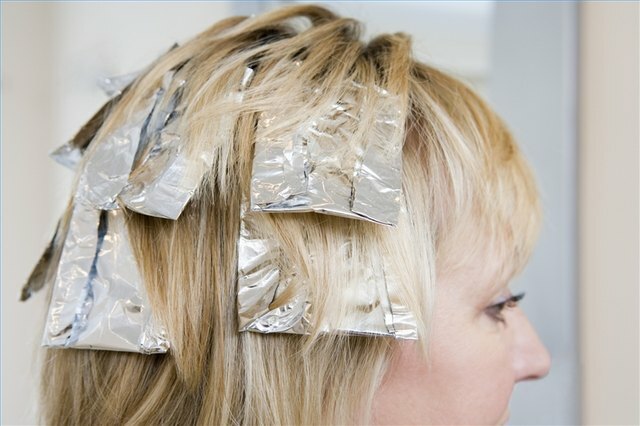 You may need to apply a "color filler" or "protein filler" before you cover your highlights with a darker color. 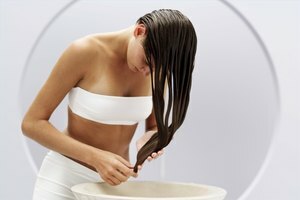 If you have very dark hair, more chemicals were needed to lighten it, and therefore, the cuticles of your hair shafts are extremely porous and will not hold color very well.